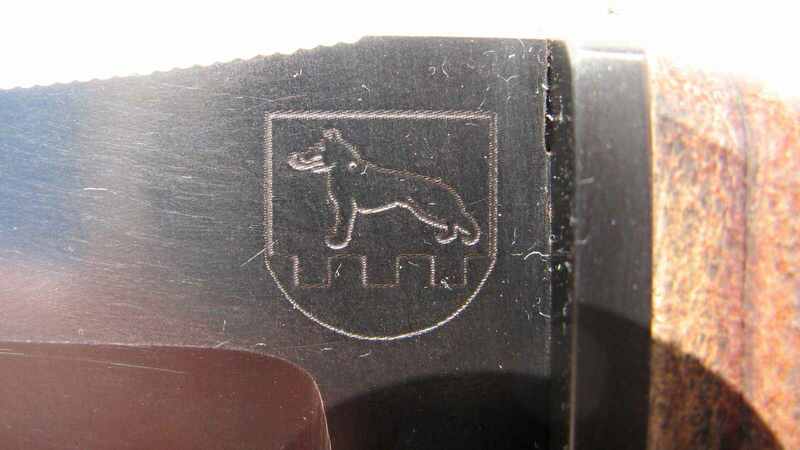 A knife was produced in 2006 for Veterinary Grabštejn base, according to which also bears the signs of their shortened grabs. As for the base, it is a special military unit, where soldiers to accomplish tasks to help their four legged friends. For the manufacture of knives so well led soldiers from the experience of a variety of tasks in international missions with their four-legged friends. Grab a knife is a sturdy working and fighting tool, the operating base is lower and the upper short edge with a central point. Both blades are extended in order to achieve a better quality of work and struggle. 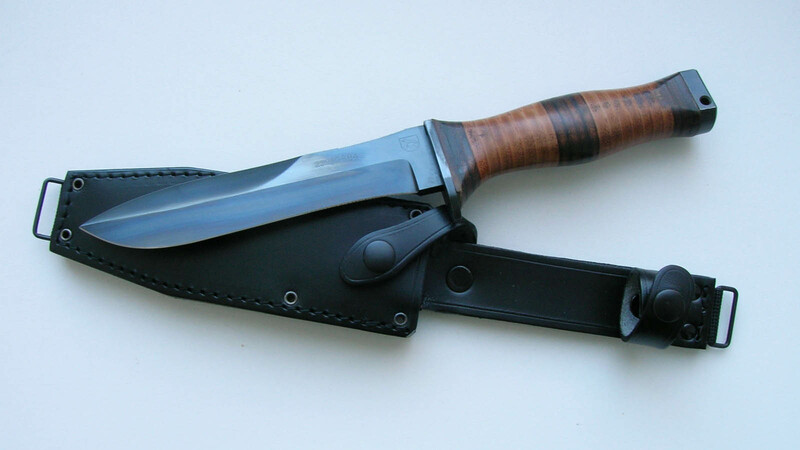 Handle machined blade is made of leather and secured with base plates. 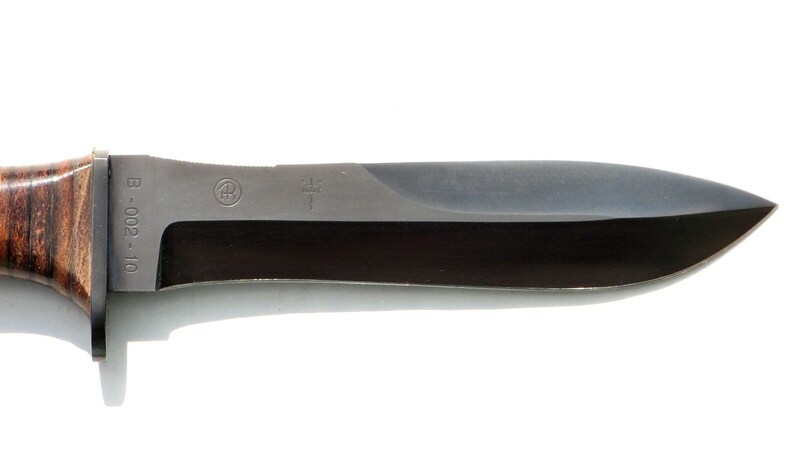 The knife is made in each series, which are labeled by name knives letters G, R, A, B. After achieving a series of ten pieces is always closed. Marking the series with the base character and the number of owners are etched on the blade ricasu. Similarly, it can be seen on ricasu brand designer and manufacturer. The producer is Mr. MAĎARIČ from Brno. 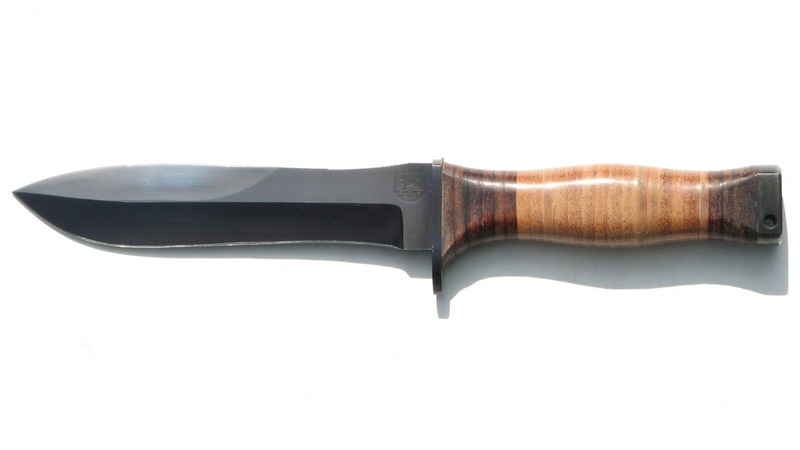 SHeath the knife was made ​​by Hess in Brno.